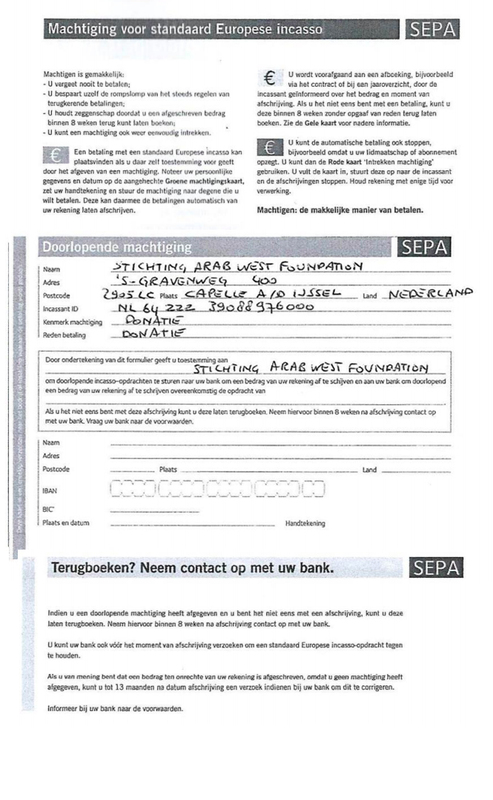 The Arab West Foundation (Stichting Arab West Foundation) is a non-profit NGO registered in the Netherlands. 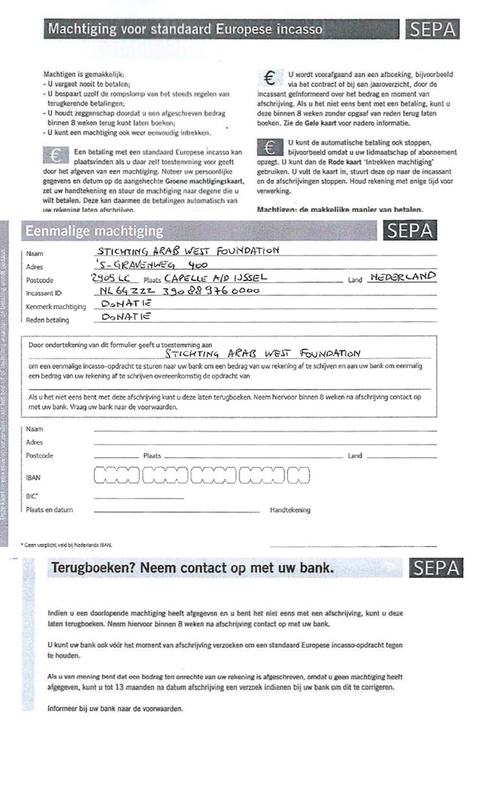 The Foundation has ANBI status in the Netherlands which means that donations are tax deductible for Dutch donors. Our work relies almost entirely on the support of donors (both individuals and institutions) and grants for particular projects. Donor organizations expect subscribers of Arab-West Report to contribute and thus a small part of our funding comes through subscription fees for Arab-West Report. 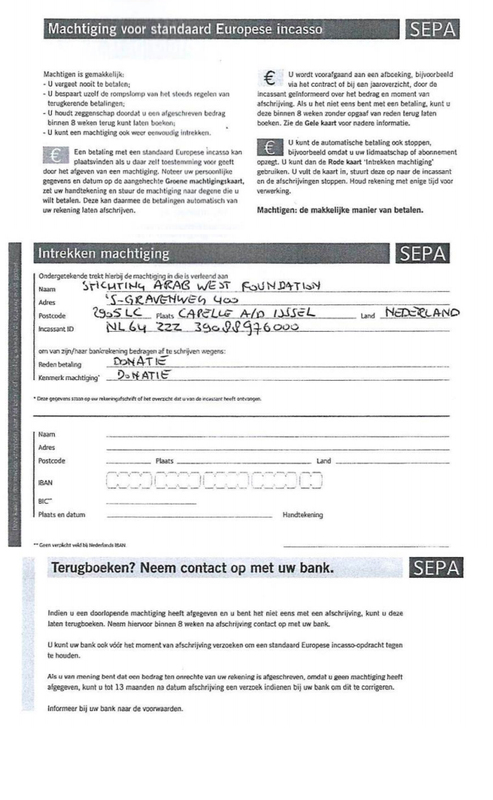 Our work has attracted the interest of prominent organisations in Europe who have generously supported our work, including Missio, Misereor, Kerkinactie and the Anna Lindh Euro-Mediterranean Foundation and we continue to seek financial support from foundations, academic and research institutions, other grant making organisations as well as individual donors. 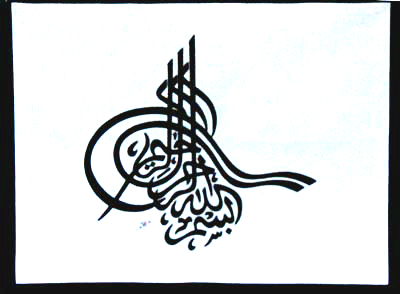 Donate NOW to receive original Egyptian artwork! Please note that we have to order the gift of your choice, which may take some time. Click the button to make an immediate donation or payment. For a subscription please add the word subscription with the year this subscription is for. 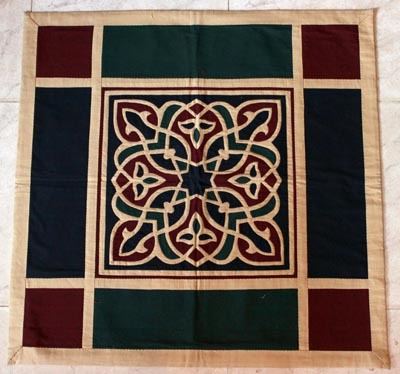 This tapestry shows an artfully drawn Bismillah, an Arabic phrase meaning "in the name of God," often translated as "In the name of God, the Most Gracious, the Most Merciful." 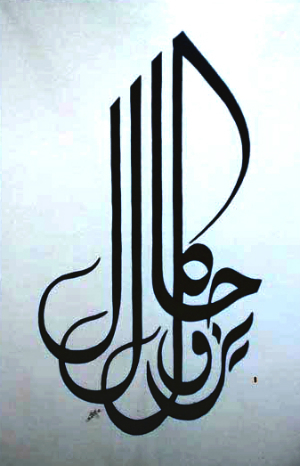 Read about the artist Mahmoud Farag. 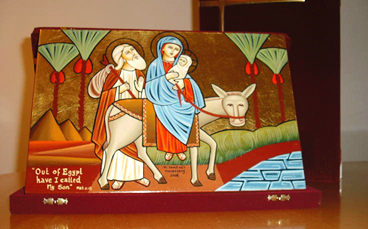 The flight to Egypt according to Matthew 2, painted by the nuns of the Monastery of St. Dimyana for the Arab-West Foundation in The Netherlands (19 cm x 29.5 cm, packed in a red-purple gift box). About the artist: The icons are finished with gold leaf and painted in the Coptic Orthodox tradition by famous iconographer, Dr. Isaac Fanous (1919-2007), who was a close friend of Arab-West Report. 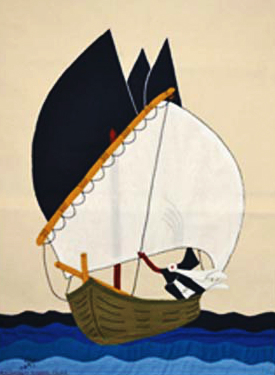 Tapestry depicting a boat on the Nile. The Holy Family in a boat on the Nile. On the left is the green fertile land of the Nile valley, and to the right are the pyramids with the desert and palm trees. (19 cm x 29.5 cm, packed in a red-purple gift box). About the artist: The icons are finished with gold leaf and painted in the Coptic Orthodox tradition by famous iconographer Dr. Isaac Fanous (1919-2007), who was a great friend of Arab-West Report. This artwork shows a delicately sewn lotus flower. The piece can be used both as tapestry and a pillow case.